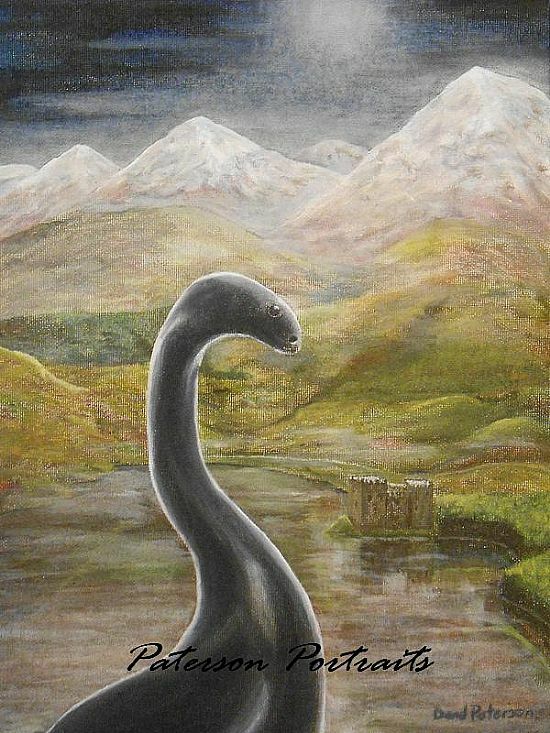 The legendary Loch Ness and it's mythical Monster. 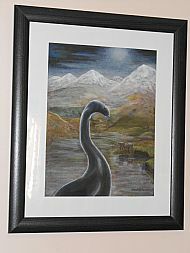 This oil on canvas painting is Davids interpretation of Nessie as it was once described to him by a friend who claimed to have seen it just down there at the Castle bay by the edge of the woods. The original oil on canvas comes framed.